You’ve probably heard about mindfulness by now. Through mindfulness people are learning to slow down and pay more attention to things in their lives. It’s a great way to learn to be more calm and more focused. Mindfulness is often used in conjunction with meditation, and it is being used in therapies for anything from drug addiction to chronic depression. Mindfulness can also help you slow your eating down, help you eat healthier, and learn more about the foods you are eating and how they affect your body and your feelings. Do you eat your feelings? 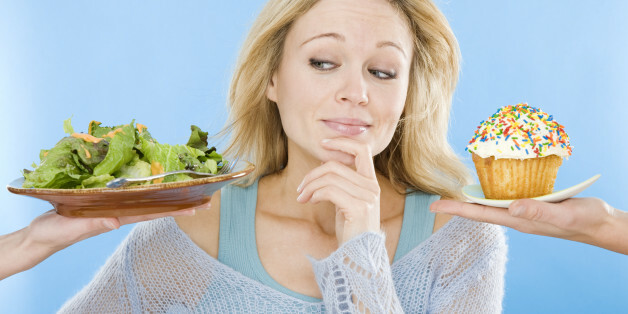 Some people eat when they are stressed, bored, angry, or any other number of reasons. Practicing mindful eating, and keeping a food journal, can really help you learn what triggers overeating or unhealthy eating habits. First, start by writing down the things you eat, how you’re feeling when you eat them, and how you are feeling after you’ve eaten. While you are eating, chew slowly and pay attention to the texture, smell, taste, and little details of what you are eating. This more focused eating will slow you down, and you may even find you get full faster, without eating as much. To help you make healthier and smarter food choices, it also helps to be more mindful when you are grocery shopping. Just like it is important to make sure that you only eat when you are actually hungry, it is also important to not go grocery shopping when you are hungry. This can cause you to buy things you don’t need. Make it a point to always take a shopping list with you when grocery shopping, and don’t stray from it. When it comes to making this list, plan out your meals ahead of time each week so that you know what you will need to buy, and you won’t have to go back often. Between grocery shopping and actually eating, is meal preparation. Also be mindful when preparing your meals. Pay attention to ingredients, serving sizes, look at what you are putting into your meals. This type of mindfulness will really help you understand some people’s habits of eating far more in a meal than they need to. Knowing serving sizes is one of the best ways to start eating healthier, and feeling better about yourself. Once you start being more mindful of the food you are putting into your body, and what it does for your health and your mood, you will also start being more mindful in other parts of your life. You will pay more attention to spending, to your health, to the other things you put in your body, and bad habits like smoking. How Does Plate Colour Impact Your Dining Experience?